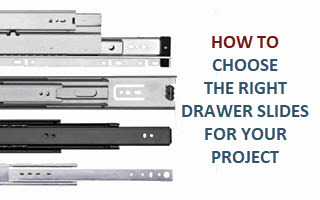 Whether you’re updating your kitchen or outfitting new cabinetry, selecting the right drawer slide can seem like a daunting task. How do you choose from all the options? Here’s a quick introduction to the basic characteristics of slides, as well as some of the features and benefits of different types of slides. 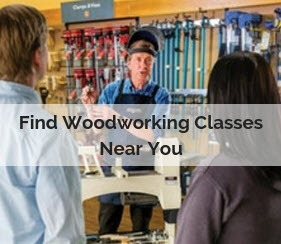 Figuring out what you want in each category will help streamline your search. Side-mount slides are sold in pairs or sets, with a slide attaching to each side of the drawer. Available with either a ball-bearing or roller mechanism. 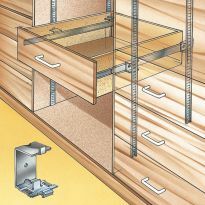 Require clearance – usually 1/2" – between the drawer slides and the sides of the cabinet opening. Center mount drawer slides are sold as single slides that, as the name suggests, mount under the center of the drawer. 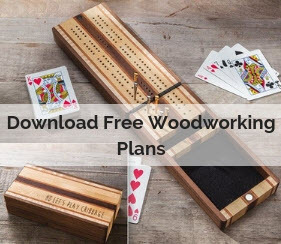 Available in classic wood version or with ball-bearing mechanism. Required clearance depends on thickness of slide. Undermount drawer slides are ball-bearing slides that are sold in pairs. They mount to the sides of the cabinet and connect to locking devices attached to the underside of the drawer. 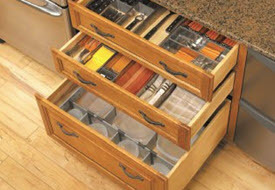 Not visible when the drawer is open, making them a good choice if you want to highlight your cabinetry. 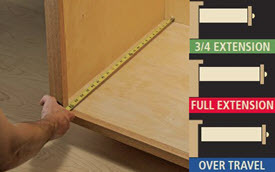 Require less clearance between the drawer sides and the cabinet opening (usually 3/16" to 1/4" per side). 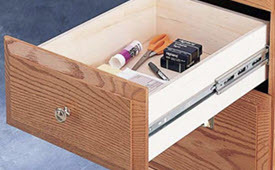 Require specific clearance at top and bottom of cabinet opening; drawer sides typically can be no more than 5/8" thick. Space from underside of drawer bottom to bottom of drawer sides must be 1/2". Slides most commonly come in sizes ranging from 10" to 28", though some shorter and longer slides are available for special applications. 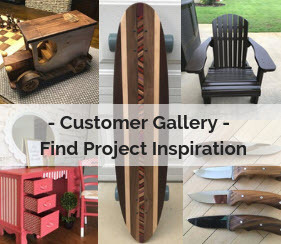 For side-mount and center-mount slides, typically measure the distance from the front edge of the cabinet to the inside face of the cabinet back and then subtract 1". For under-mount slides, measure the drawer length. Slides must be the same length as drawer to work properly. 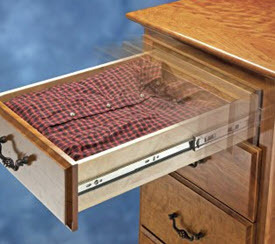 Decide how far out you want the drawer to come when open. 3/4 extension - Part of the drawer remains in the cabinet. An economical option when full access isn’t an issue. 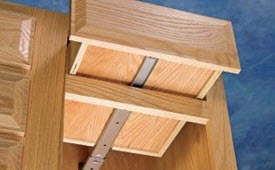 Full extension - Allows drawer to open the full length of the slide, providing greater access. 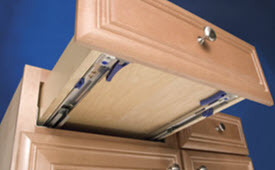 Over travel - Allows drawer to open beyond full extension, providing complete access – even underneath countertops. Slides typically are rated for 75, 100 or 150 pounds, though some are rated for less and some specialty slides can handle as much as 220 pounds. Weight rating is especially important when choosing slides for heavy-duty applications such as file drawers or pantry pull-outs. Decide whether you want special motion features. Push to open - Slides open with a nudge to the drawer front, eliminating the need for handles or pulls. An especially good option for modern kitchens, where hardware might not be desired. Self close - Slides return the drawer all the way into the cabinet when drawer is pushed in that direction.